Increase your safety and the safety of others by being responsible and refusing to multitask while driving. If you ask St. Louis residents if they’d be willing to drive drunk, most of them will emphatically say no. The majority of drivers know how dangerous and costly it is, and avoid it entirely. Alternatively, if you ask them if they ever text, eat, do their makeup, or any number of other tasks while driving, they may casually say yes. Multitasking has been found to be very dangerous when operating a vehicle. Those who drive distracted increase their risk of being in a serious car accident. Of course, you can increase your safety on the road by being responsible and not multitasking. Psychology experts, such as University of Michigan professor David Meyer, believe that multitasking is just as bad or even worse than driving drunk (source: NPR). On the road, drivers need to process a significant amount of information. That includes stoplights, road signs, what other drivers are doing, and more. To effectively take all of this information in, you need your eyes on the road and your hands on the wheel at all times. Doing things like eating, texting, or any other very distracting activity puts you at risk. The best way to stop multitasking is to assess your behavior and find out what your biggest problem areas are. If you’re eating or doing your makeup on your way to work, you are likely doing so to save time in the morning. To remedy this, you may need to go to bed earlier, wake up earlier and do those things at home. If you have trouble staying off your phone, put it in the trunk or glove box. This framework can be applied to any task you shouldn’t be doing. Avoiding multitasking doesn’t necessarily mean you need to stare at the road in complete silence. Though there is some conflict between studies, most have shown that listening to music, talk radio, or podcasts usually does not negatively impact driving. Some have even shown that background sound improves driving performance. There are two things to be careful of. First, don’t get so engrossed in the music that you lose concentration. If this often happens to you with your favorite songs, opt for something tamer like classical music. Second, choose a playlist that does not require you to skip songs. Taking your eyes off the road to do so is as dangerous as texting. Because driving is something you do all the time, it becomes a casual part of daily life. You might not think about how dangerous your behavior is on the road and become a liability to yourself and others around you. 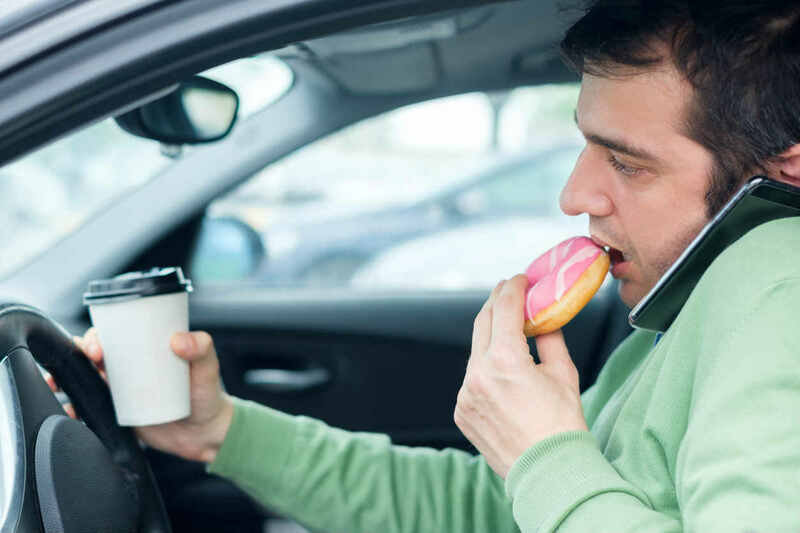 Avoid this trap by saying no to multitasking while driving. Feel free to listen to the radio or a podcast, but stay away from anything that takes your eyes off the road and hands off the wheel. Even if you follow these guidelines perfectly, some other driver might not, and you could be involved in a crash. Speak with a St. Louis car accident attorney 24/7 at (314) 361-4242 to ensure your legal rights are protected and you received all the compensation you are legally entitled.